The HYDMECH PNF350-2AV metal cold saw is a manual non-ferrous pivot arm circular saw. 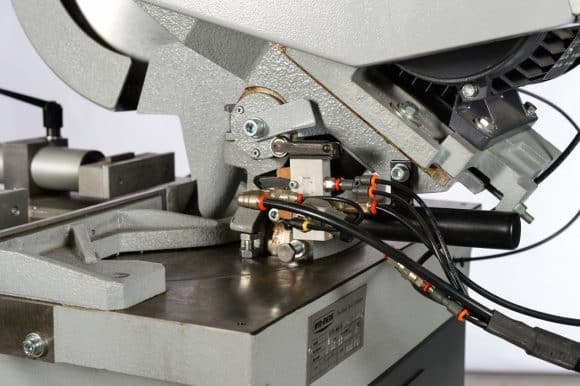 Among it’s many features is a pneumatic operating vise and a two speed motor that increases productivity for all your metal cutting applications. 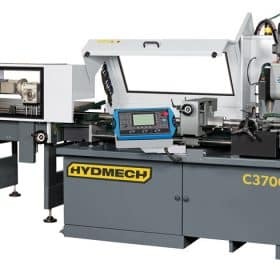 The HYDMECH PNF350-2AV Cold Saw is a manual non-ferrous pivot arm circular saw that is mainly used for the cutting of non-ferrous metals. 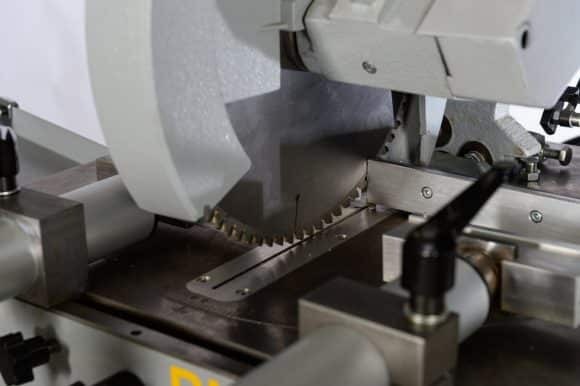 The manual cold saw has mitering capabilities from 45 degrees left to 45 degrees right. 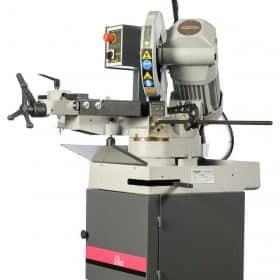 It also has robust sawing head that can tilt 45 degrees to enable compound miter cutting. The cold cut metal saw also features a 4 3/4’’ round hollow capacity at 90 degrees, has a 2.5/3 HP motor as well as a 14’’ blade which makes the PNF350-2AV the go-to choice for quick, clean and accurate cutting of non-ferrous metals. 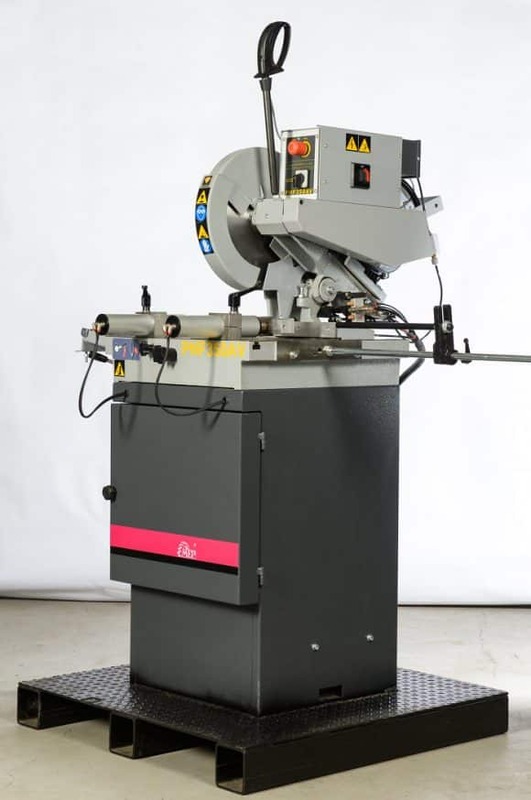 The cold cut metal saw is a non-ferrous cutting manual saw which has pneumatic operating vise. It is also equipped with a two-speed motor which enables high-speed blade rpm ranging from 1700 to 3400 rpm. 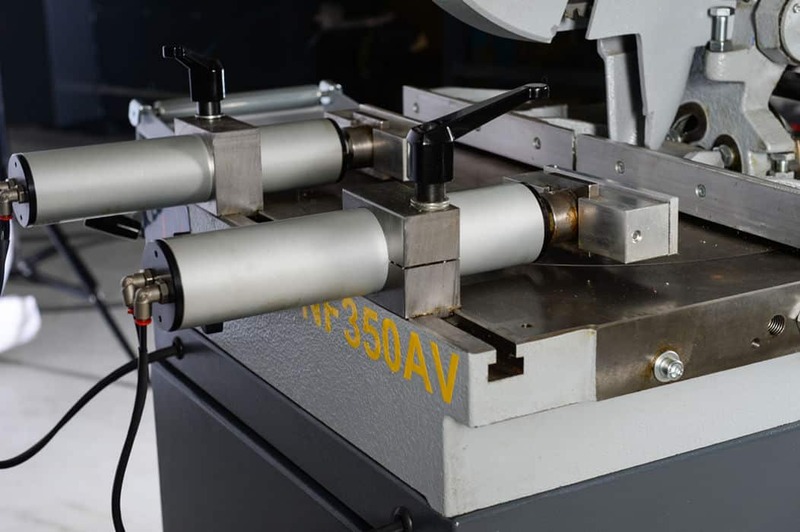 This enables the manual cold saw to be able to cut through aluminum, pvc, brass among other soft metals. Its vise opening of 7’’ enables it to cut a large range of sizes and shapes of extruded aluminum. Its manual saw head moves by means of an IP55 control handle with switch. 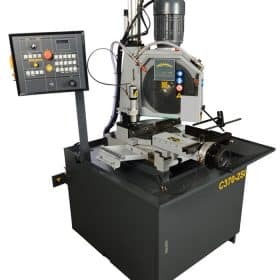 Has a rotating table that is on large roller bearings. Its vises have movable aluminum jaws. Has a mist coolant system. Has out feed and in feed roller tables. Has a roller table that has a material stop with a ruler. Has a pneumatic vertical vise.